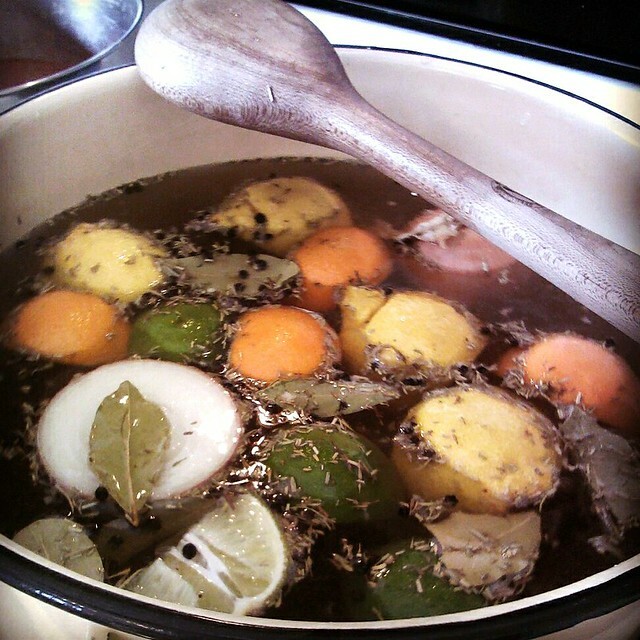 We’ve recently started brining our pork, chicken, and turkey. It adds a whole new level of juicy goodness to these easy-to-dry out meats! Here’s a great article if you’d like to understand why brining works. This will be enough to brine a turkey. Cut the recipe in half for smaller batches of meat. Bring to a boil, then cool to room temperature. Put brine and meat in a container large enough so that the meat is covered. If needed, add a bit more water. Cover and refrigerate at least 24 hours. Drain brine. Rinse. Pat meat dry. Then cook and enjoy!